Understanding species coexistence and the maintenance of biodiversity has long been the central interest of ecologists. The niche-based theory of community assembly has dominated community ecology for nearly a century, yet understanding of the mechanisms of species coexistence has remained elusive. The newly developed neutral theory of biodiversity has offered a promising alternative to the niche paradigm. The analytical elegance and simplicity of the neutral theory and its predictive power have made the theory widely popular. However, it is the very same simplicity of the theory (e.g. the symmetric assumption) that makes the theory vulnerable to stark criticisms. Widespread empirical evidence has shown that species in communities are not functionally symmetric; ecological equivalence is more a conceptual simplicity than a biological real-ism. Recognizing that niche and neutral processes do not have to diametrically oppose each other and a community is likely determined by the interplay of the two processes, ecologists currently are searching to reconcile the two theories by either incorporating drift into niche theory or niche into the neutral framework. However, this reconciliation process is still at its very early stage, we expect this direction will lead to a more complete understanding of community assembly mechanisms. In this paper, we provide a review on the brief histories of the niche and neutral theories, with the focus on comparing the distinct importance of the two theories in explaining community assembly. We discuss in details several integrated models that attempt to unify the niche and neutral theories. We argue that it is an essential step for any successful theory to with-stand substantial experimental and field tests. The experimental tests of neutral theories are an important di-rection that has currently not received due attention. Angiosperms constitute the most diverse lineage of higher plants and are represented by ca. 300,000 living species that dominate the vegetation of terrestrial ecosystems. Number and composition of families, genera, and species are important to understanding global and regional biodiversity. Due to the rapid development of molecular systematics, circumscriptions of many traditional angiosperm families and genera have been revised. This study investigates circumscriptions of families and genera of native and introduced angiosperms in China according to the APG III classification system and recent phylogenetic studies. Results showed that there are 258 native and 55 introduced families (including 6 naturalized families), and 2,872 native and 1,605 introduced genera (including 152 naturalized genera) in China. A brief introduction to the historical and recent changes of circumscriptions of families and genera occurring in China was also provided. Our list included 115 newly recorded families and 1,729 newly recorded genera when compared to Flora Reipublicae Popularis Sinicae, and 85 newly recorded families and 1,531newly recorded genera when compared to Flora of China. A plant community is an assemblage of plant populations that live in certain area, and interact with and adapt to one another in the context of long-term environmental changes. Plant communities maintain global ecosystem functions, and provide food and habitats for animals and other organisms. Plant communities also provide primary resources for human survival and development, and are therefore indispensable to human societies. China is among the countries with the most diverse plant communities in the world. However, no systematic national inventory has been conducted for Chinese plant communities. This fact obstructs exploitation and protection of China’s plant resources, and also hampers the development of the fields of Chinese ecology and geography. There is an urgent need to survey Chinese plant communities using consis-tent methods and protocols. In this paper, we review major concepts in plant community ecology, and pro-pose a framework for developing plant community inventories based on recent progress in community ecol-ogy and our own experience with long-term field surveys. Our framework provides protocols for site selec-tion and plot design, items to be measured in a plot, and measurements of functional traits of dominant spe-cies. We also review protocols for field surveys of large, long-term plots. The protocols proposed in this pa-per are expected to be a base for standardizing methodology for inventory of Chinese plant communities. Environmental transcriptomics, which focuses on microbial mRNA derived from complex environmental samples using the RNA-Seq method, allows investigation of expression and patterns of regulation of functional genes in natural microbial communities. This review outlines the basic protocol of environmental transcriptomics, from sample collection and preservation, total RNA isolation, mRNA enrichment, cDNA synthesis to high-throughput sequencing and data analysis. Main technological problems are pointed out, such as low yield of mRNA in environmental samples, contamination of mRNA by various impurities like humic substances and limited degree of rRNA removal. Recent progresses in specific methodologies to improve the quantity and quality of mRNA, especially in RNA extraction, purification and the enrichment of mRNA, are outlined. Bioinformatics methods that deal with the large volume of RNA-Seq data are addressed, such as quality control of the sequence data, sequence assembly, detection and removal of rRNA, gene annotation and functional classification, and detection of differently expressed genes. The widely application of environmental transcriptomics, including detection of new genes, study of gene expression and regulation of microorganisms in different environments, and the analysis of metabolic pathways of special organic substances, are also highlighted. Environmental transcriptomics, combined with the further development of sequencing technology and bioinformatics tools in the future, are likely to be comprehensively used in the study of environmental microbiology. Soil microorganisms are important components of soil ecosystem and play central roles in biogeochemical cycling such as organic matter decomposition, mineral nutrient release, and energy transformation. Along with the intensive comprehension of the importance of biodiversity and the rapid development of methodology, more and more studies have focused on soil microbial diversity. This review introduces the current development of methodology and affecting factors of soil microbial diversity. We also discussed the directions of future research on soil microbial diversity. Soil health is important for the sustainable development of terrestrial ecosystem. In this review, we summarizes the relationship between soil quality and soil microbial characteristics such as soil microbial community structure, soil microbial biomass and soil enzymatic activity in order to illustrate the function of soil microbial characteristics as bio-indicators of soil health. Many studies have showed that the soil nutrient is correlated with the quantity or the composition of bacteria, fungi and actinomycetes in soils. In general, higher ratio of soil bacteria indicates better soil quality and higher soil nutrient content. Soil microbial bio-mass is closely correlated with soil organic carbon, and the ratios of soil microbial biomass carbon to soil or-ganic carbon(Cmic : Corg) and microbial metabolic quotient (qCO2) reflect the use efficiency of soil organic C. The activity of soil enzymes are positively correlated with soil microbial biomass carbon and nitrogen. Therefore, soil microbial characteristics reflect the changes of soil quality and thus can be used as bio-indicators of soil health. Metagenomics is the study of microbial meta-genomes from environmental samples, which is independent on the ability to cultivate microbes in the laboratory. It provides a new way of examining the microbial world and has been widely used in microbiological research for the past decade. Sequencing-based metagenomic technology, represented by 454 and Illumina sequencing platforms, and microarray-based technology, often using GeoChip, are two of the most commonly used technologies in metagenomics. Sequencing-based technologies are capable of detecting new microbes and genes, but are limited with regard to sequence depth and quantification, and present problems of contamination when used on complex microbial communities. Microarray-based technologies are complementary to sequencing-based technologies in regard to advantages and disadvantages. They have been widely used, for example, in studies of climate change, energy, engineering, metallurgy, extreme environments and human health. However, their use in examining the extremely complex and diverse microbial world merits further technical development, with a focus on integrating both technologies and the development of appropriate bioinformatics tools. The six meetings of the Conference of the Parties to the Convention on Biological Diversity held in 2002 adopted the goal of “significantly reducing the rate of biodiversity loss worldwide by 2010”, and requested Parties to develop biodiversity assessment indicators and to conduct biodiversity assessment. This paper puts forward five indicators for comprehensive biodiversity assessment, i.e. species richness, diversity of ecosystem types, completeness of vertical stratification of vegetation, endemism, and extent of biological invasions, based on the principles of scientific approach, representativeness, and practicality. Methods for comprehensive biodiversity assessment were established, and a national biodiversity assessment was con-ducted by taking 31 provinces (including municipalities and autonomous regions) as the basic assessment units. Biodiversity of provinces was classified into four grades. Yunnan, Sichuan and Guangxi boast highly rich biodiversity. Guizhou, Hubei, Guangdong, Hunan, Chongqing, Fujian, Tibet, Jiangxi, Zhejiang, Hainan, Gansu, Xinjiang, and Shaanxi boast quite high biodiversity. Henan, Anhui, Shandong, Shanxi, Hebei, and Beijing have moderate biodiversity. Jilin, Inner Mongolia, Shanghai, Liaoning, Ningxia, Qinghai, Jiangsu, Heilongjiang, and Tianjin have poor biodiversity. The manner in which species richness increases with increasing sampling area is among the important laws of ecology. However, forms and parameters of the species–area relationships vary depending on sampling methods, climate, and spatial scales. Because the species–area relationships connect biodiversity at different scales, they are used for estimating species richness at local or regional scales, and for assessing regional biodiversity losses. Here, we review recent developments in the forms, spatial variation in parameters, applications, and scale-dependence of species–area relationships. As a case study, we used species–area rela-tionships to estimate number of plant species in different regions of the Qinling Mountains, and found that the well-consistent estimated and recorded numbers of species were achieved for different nature reserves in the Qinling Mountains. Rice is one of the most important crops in the Ningxia region of China, and rice planting helps to maintain ecosystem balance and prevent land desertification. Soil microbial diversity provides basic functions for rice field soil ecosystems. To better understand bacterial diversity and community composition in Ningxia paddy soil, the total bacterial DNA was extracted from paddy soil collected from a typical rice field of Ningxia using the culture independent method. A 16S ribosomal DNA (16S rDNA) clone library of soil bacteria was constructed. The 16S rDNA fragments were analyzed by PCR-RFLP. Further sequencing and cluster analysis were conducted to elucidate the bacterial diversity. Over 23 kb DNA fragments were obtained from the paddy soil and 74 MspI restriction endonuclease types were detected by PCR-RFLP analysis. Sequence analysis revealed that 77.3% of clone sequences were similar to those of uncultured bacteria in the environment, while only 22.7% clone sequences were most closely related to those of cultured bacteria in GenBank, suggesting great potential for undeveloped bacterial resources was available in paddy fields. Our phylogenetic analysis found that the sequenced clones fell into 12 major lineages within the domain bacteria. Among them, members of the Proteobacteria were the dominant group, accounting for 37.8%, including &#61537;-Proteobacteria (13.5%), γ-Proteobacteria (12.2%), δ-Proteobacteria (6.8%) and &#61538;-Proteobacteria (5.4%), followed by Acidobacteria, Actinobacteria, Bacteroidetes, Chloroflexi and Planctomycetes division with 16.2%, 12.2%, 10.8%, 10.8%, 8.1%, respectively. Firmicutes, Gemmatimonadetes, and Verrucomicrobia were less well represented. Our study revealed an extensive diversity of soil bacteria in a paddy field in Ningxia. In this paper, the soil biodiversity and its functioning in ecosystem were briefly summarized, and the history and development of the discipline of soil biology were also reviewed. Meanwhile, I pointed out some issues on soil biology to be addressed for a few years to come. Due to the importance of soil biodiversity to the maintenance of ecosystem functions but inadequate study on soil biota in China, a series of articles on soil biota were collectively published in this issue of Biodiversity Science. The objectives of this issue were to enable the Chinese scientists to better understand the functions of soil biodiversity and to stimulate the interest of young scholars in the discipline of soil biology. 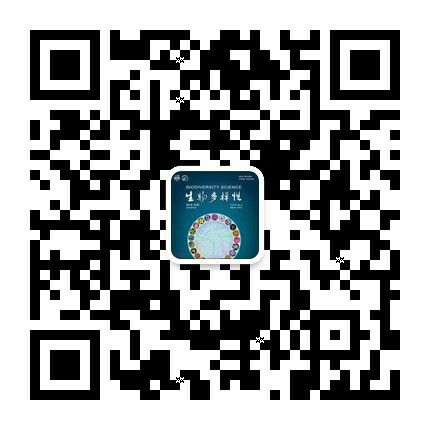 The ultimate goal was to push forward the research and development of soil biology in China and to apply the knowledge and techniques of soil biology in the development of national economy. To determine orchid diversity along an elevation gradient, we conducted a four-year investigation at five management districts (Ruyang, Dadongshan, Chengjia, Longtanjiao and Tianjingshan) in Nanling National Nature Reserve, northern Guangdong Province. The orchid species and individual number, their life forms and habitat conditions were surveyed. Then we analyzed their floristic components and evaluated their endangerment degree according to the IUCN Red List Categories and Criteria (IUCN, 2001). To study the al-titudinal distribution of orchids, we divided the study area from 230 m to 1,902 m into nine equal belts at 200-m intervals. We recorded 70 orchid species of 38 genera in total, of which 63 species were recorded in Ruyang. Most of these species had small populations. The orchid diversity presented a hump-shaped pattern along the elevational gradient with a peak at mid-elevations (600–800 m), of which terrestrial, epiphytic, and saprophytic orchids showed the same trend. The endangered species were mainly distributed at 600–1,000 m, where there were better habitats and less human disturbance. The most abundant floristic components were found at 800–1,000 m. The tropical orchids mainly distributed below 1,600 m. There was a higher similarity index between the neighbouring elevational belts. It was concluded that the abundant orchid species at mid-elevation resulted from better thermal and humidity condition, while the conspicuous decline of species richness at low elevation is a result of human disturbance. Recent progress in studying mechanisms of biological invasion is reviewed involving several aspects , such as biological characteristics of exotic species , interaction among exotic species and their new neighbours , the relationships between species diversity and community resistance to invasion , the effects of changing ecological factors in new habitats. We also analyze the progress of research methodologies and some unsolved vague points in this field. According to recent studies , the mechanisms of biological invasion seem so diverse that no common pattern could explain all cases. A better understanding of invasive mechanisms is essential in developing ecological theory and significant in cont rolling exotic pests. The impacts and invasion method of alien invasive species (AIS), and prevention and management of biological invasion are discussed. Biological invasion is becoming one of the most important factors threatening biodiversity and stability of various ecological systems in China. The impacts of these biological invasions are becoming a more serious problems with development and increase of global trade, transportation, international travel and ecological tourism. Harmful AIS often leads to irreversible species extinction, and results in substantial economic losses within managed and natural ecosystems, including agriculture, forestry, fishery and animal production. Newly invading weeds, insect pests and plant diseases frequently result in large scale outbreaks and persistent use of chemical pesticides. Successful invasion and spread of some major insect pests and weeds in China were caused by man made factors. These include decision mistakes and unintentional introduction of some plants, such as water hyacinth and alligator weed as pig food, irresponsible introduction actions taken by individual/group without any ecological concerns, and lack of rapid response mechanism for eradicating potentially AIS as soon as they appear. China is an agricultural country. Any biological invasion will be a "big bomb" for our agriculture and inevitably result in ecological and economic losses in specific ecosystem and specific geographic regions. Prevention of biological invasion is an important aspect for safeguarding the state′s ecological safety. Development and researches should focus on building the state capacity, research capacity, and management capacity for addressing AIS problem. Based on the urgent situation of AIS in China, priority for research and action plans concentrate on: developing methods to identify the origin and pathways of invasive population; understanding the biological and ecological bases of AIS; developing environmentally friendly methods for control of AIS; developing environmental impact assessment and risk analysis methods for AIS; and developing methods for the recovery of habitats after control of AIS. China is a mountainous country with rich biodiversity resources. To explore altitudinal patterns and geographic differentiation of plant species diversity in China′s mountains, Peking University has begun the Survey Plan for Plant Species Diversity of China′s Mountains (PKU-PSD Plan) since mid1990s. This paper presents the PKU-PSD Plan′s protocol, including the goals, research topics, mountain sites, and methodological standards for field surveys and data analysis. As increasing attention has been paid to below-ground ecosystems in recent years, the impact of exotic plant invasions on soil ecosystems has emerged as a central issue in invasion ecology. In this paper, effects of exotic plant invasions on soil biota and soil nutrient cycling processes are reviewed, and the mechanisms that underlie these impacts are discussed. The available literature suggests that no consistent pattern exists on the impacts of exotic plant invasions on soil microbes, soil animals, soil carbon cycling and nitrogen cycling. The mechanisms underlying the impacts of exotic plant invasions are also complex and diverse. The discrepancies most likely arise from the differences between invasive and native plants in a variety of physiological and ecological traits, such as litter quality and quantity, root distribution, and phenology. Future studies are recommended to (a) compare the impacts across multiple scales and multiple ecosystems; (b) intensify mechanical studies of the impacts; (c) link the impacts on biodiversity and ecosystem processes; and (d) explore the mutualistic interactions between soil ecosystems and exotic plants. Animal domestication was one of the major contributory factors of the agricultural revolution during the Neolithic period, which resulted in a shift of paradigm in the contemporary lifestyle of human from hunting to farming. Research on the origin and domestication of animals is helpful not merely to understand the historical as well as societal transformation of human and the process of animal evolution under the influence of artificial selection but also to formulate the strategies for improving breeding varieties and conservation of domestic animals genetic diversity. Thus researches in this domain have received attention for a long time. In recent years, more archeological evidences coupled with recent developments in the molecular genetics approaches have led to a better understanding of the origin and the underlying process of domestication of animals. In this review, we attempt to state the recent progresses in the research methodologies and breakthroughs in molecular understanding of the basic issues related to the origin and subsequent domestica-tion of animals. The first part of the paper deals with the wild ancestors of domestic animals, the sites of ori-gin and time, the founders and the expansion routes. The second part refers to the conditions that had influ-enced the domestication process, the traits variation and the underlying genetic mechanisms. Finally, several shortcomings of the previous studies have been highlighted and the challenges and strategies for future direc-tion of research have also been discussed. We synthesized the information on fish diversity in the Yangtze River Basin, documenting 378 species/subspecies that had been recorded and described from the basin, belonging to 14 orders, 32 families and 144 genera. Of these, 338 species/subspecies are freshwater fishes, of which 269 species/subspecies are from the Cypriniformes. Of the total, 11 species are migratory fishes, and 29 are species of brackish water of the estuary. A total of 162 species/subspecies are endemic to the river and 69 are threatened. We divided the Yangtze River Basin into 19 sub-basins. Except for the two sub-basins of the headwaters and the upper and middle reaches of Jinshajiang River, the other 17 sub-basins showed similar values in species richness and G-F diversity indices, although the values were higher in the upper reaches than in the middle and lower reaches. However, the proportion of endemic species decreased gradually from the headwater to the estuary of the basin in parallel with the gradient of elevation. Jaccard similarity analysis showed that the 19 sub-basins were clustered into three groups: (1) the headwaters and the upper and middle reaches of Jinshajiang River, located in the eastern Qinghai-Xizang Plateau and Hengduan Mountains; (2) the other sub-basins of the upper reaches, located in Western Sichuan Plateau, Yungui Plateau, Sichuan Basin, and Qinling-Daba Mountains; (3) the middle and lower reaches, belonging to the Huaiyang Mountains, Jiangnan Hills and the plain along the middle and lower reaches of the Yangtze River. This grouping reflects the environmental characteristics of the basins and the three large topographic plat-forms of the Chinese mainland. Based on the environmental variables that associated with species’ occurrence records, ecological niche modeling (ENM) seeks to characterize environmental conditions suitable for a particular species and then identify where suitable environmental habitats are distributed in the space. Recently, ENM has been used increasingly in biological invasion, conservation biology, biological responses to climate change, disease spatial transmission, and variety aspects of ecology and evolutionary biology research. However, the theoretical background of these applications is generally poorly understood, leading to artifactual conclusions in some studies (e.g. niche differentiation during species’ invasion). In this paper we discuss the relationship between niche and geographic distribution and introduce the theoretical basis of ENM, along with relationships between the niche and ENM. Abiotic/biotic, historical and dispersal factors are three key elements that determine species’ geographic distributions at different scales. By using environmental variables derived from distributional records, ENM is based on observations that already include effects of biotic interactions, therefore ENM is used to characterize somewhere between the realized niche and potential niche, not the fundamental niche. Grinnellian and Eltonian niches are both manifested in ENM calibration, depending on the types of variables used to fit model, the natural spatial scale at which they can be measured, and the dispersal of individuals throughout the environment. Applications of ENM in understanding ecological requirements of species, discovery of new species or populations, nature reserve design, predicting potential invasion, modeling biological responses to climate change, niche conservatism, and species delimitation are discussed in this paper. Biodiversity Informatics is a young and rapidly growing field that brings information science and technologies to bear on the data and information generated by the study of biodiversity and related subjects. Recent years, biodiversity informatics community has made an extraordinary effort to digitize primary biodiversity data, and develop modelling tools, data integration, and county/regional/global biodiversity networks. In doing so, the community is creating an unprecedented global sharing of information and data produced by biodiversity science, and encouraging people to consider, survey and monitor natural biodiversity. Due to success of several international biodiversity informatics projects, such as Species 2000, Global Biodiversity Information Facility, Barcoding of Life and Encyclopedia of Life, digitized information on species inventories, herbarium specimens, multimedia and literature is available through internet. These projects not only make great contributions to sharing digitized biodiversity data, but also in prompting the implementation of important biodiversity information standards, such as Darwin Core, and in the establishment of regional and national biodiversity networks. These efforts will facilitate the future establishment of a strong information infrastructure for data sharing and exchange at a global scale. Besides focusing on browsing and searching digitized data, scientists should also work on building data mining and modeling, such as MAXENT for Ecological Niche Modelling and LifeDesk for taxonomist’s knowledge management. At the same time, the idea of citizen sciences gains popularity showing us the benefit of the public working closely with the scientific community in completing internet-based biodiversity informatics activities. Therefore, biodiversity informatics has broad prospects, and is helping to build strong facilities that will aid in implementing the goals set by Global Plant Conservation Strategy and related international treaties, resolving biodiversity crises and the management of biodiversity resources in global climate change scenarios. Assessing the distribution of nature reserves is an important step for conserving biodiversity. We used geographic information system (GIS) to assess the conservation status of vegetation types, endangered plant and animal species, and biodiversity hotspots in China, based on the area, endangered species list and geographic position of 2,047 nature reserves in China. The results showed that, while the proportion of total area protected as nature reserves is higher in China than the world average, of the 47 natural vegetation types in China, 21 (45% of the total) were deficiently protected, with less than 10% of their area included in nature reserves, suggesting that these vegetation types have not been perfectly protected. According to the Dobson complementary algorithm, among 216 nature reserves, the top five priority nature reserves, i.e., Xishuang-banna, Mt. Wuyi, Mt. Changbai, Mt. Gaoligong and Mt. Qilian, contained 381 protected species (~ 50% of the total), and the top 21 priority nature reserves contained 590 protected species (~75% of the total). Nature reserves covered nearly all the hotspots selected by different approaches. However, as there are several areas lacking proper protection, e.g., Northern Xinjiang, Sichuan and South of the Yangtze River, the distribution of Chinese nature reserves needs further improvement. Orchids are a flagship group in plant conservation. There are about 1,247 species and about 171 genera in China. The Chinese orchid flora is distinguished by having rich diversity in geographical types, especially by having a broad subtropical area lying between the Qinling Mountains and the Tropic of Cancer. This paper generally reviews the present situation of research and conservation of Chinese orchids. The publication of three volumes of flora of China (Orchidaceae), and some local flora of orchids, such as those for Hainan, Yunnan, Sichuan, and Guangxi Provinces, has laid down a profound foundation not only for correctly identifying and naming Chinese orchids but also for properly making conservation policy and strategies. Compared with relatively rich taxonomic knowledge, however, there is a wide gap in our knowledge of orchid ecology and many other aspects of orchid biology related to conservation. Five main priorities for education and scientific research for the long and short terms are suggested. First, strengthen and improve basic research such as ecology, biology and floristics. Second, identify and categorize Chinese orchid diversity hot spots at the country level. Third, promote study of ex situ conservation techniques, particularly developing artificial propagation methods for commercially important species, and starting reintroduction of selected endangered species. Fourth, develop public education programs through school lessons, the press, TV and radio. Finally, establish a scientific information pool at national level. Large-scale patterns of species diversity are one of the most important and attractive issues for ecology and biogeography. Many hypotheses have been proposed to understand the mechanisms that shape and maintain the diversity patterns. Among them, the energy hypothesis, which focuses on the influence of energy on species diversity, has generated the most attention. Based on the forms of energy and the mechanisms of energy effects on diversity patterns, five versions of the energy hypothesis have been recognized, i.e. productivity hypothesis, water–energy dynamic hypothesis, ambient energy hypothesis, freezing tolerance hypothesis, and metabolic theory of ecology. The current paper reviews the development of the energy hy-pothesis, and then presents the context, energy forms, variables, predictions, and underlying mechanisms for the five versions of the energy hypothesis. Furthermore, we discuss the advantages, shortcomings, and chal-lenges of each version of the energy hypothesis. Antibiotic resistance and its spread in bacteria are topics of great importance in global research. In this paper, we review recent progress in understanding sources, dissemination, distribution and discovery of novel antibiotics resistance genes (ARGs) in the environment. Bacteria exhibiting intrinsic resistance and antibiotic resistant bacteria in feces from humans and animals are the major sources of ARGs occurring in the environment. A variety of novel ARGs have been discovered using functional metagenomics. Recently, the long-term overuse of antibotics in drug therapy and animal husbandry has led to an increase in diversity and abundance of ARGs, causing the environmental dissemination of ARGs in aquatic water, sewage treatment plants, rivers, sediment and soil. Future research should focus on dissemination mechanisms of ARGs, the discovery of novel ARGs and their resistant mechanisms, and the establishment of environmental risk assessment systems for ARGs. Beta diversity is an important component of biological diversity, measuring compositional change in species assemblages across temporal and spatial scales. Beta diversity concerns not only a number of ecological and evolutionary issues, but can also guide the selection of protected areas and help to optimize conservation networks. It has thus become a hot topic in biodiversity research in recent years. Researchers have used various measures and analytical methods to investigate patterns of beta diversity and its underlying mechanisms for various taxa and in different regions. Here, we reviewed literature from the past decade pertaining to the following aspects of beta diversity: metrics, temporal and spatial patterns, determinants and applications in biodiversity conservation. Whittaker introduced the term beta diversity in 1960, but defined it vaguely. As the concept of beta diversity evolved, a high variety of measures were developed to quantify the concept. The comparison of results from different studies may be hindered by the variety of measures used to quantify beta diversity. Presently, the most popular methods for measuring beta diversity are similarity/ dissimilarity coefficients such as Jaccard index and Sørensen index. In the last few years, several methods to quantify beta diversity have emerged, some of which are worth noting. Beta diversity depends on temporal scale, spatial scale and taxonomic scale, and decreases with increasing analytical grain size. There is no consensus among scientists that beta diversity decreases with latitude, i.e. that it is higher in tropics and lower near the poles. Beta diversity is high within mountain ranges and at the interface of biogeographic realms; thus, larger/more reserves are needed in these regions to cover the entire gradient of species turnover. Studies on beta diversity across temporal scales have shown that climatic change has resulted in shifts in species composition through time, and that the migration of species between different continents/regions has led to biotic homogenization. Based on a thorough review of beta diversity literature, we think the following questions might be the focus of future research: (1) the influence of evolutionary history and biological characteristics of different taxonomic groups on their beta diversity; (2) the influence of temporal/spatial scales on beta diversity and its determinants; and (3) the effect of anthropogenic activities on beta diversity. Patterns of biodiversity along environmental gradients is one of the basic issues in the biodiversity studies. The elevational gradient incorporates multiple resource gradients which vary continuously in different fashions. As patterns along environmental gradients are significantly scaledependent, we reviewed plant diversity patterns along the elevational gradient in different scales: α diversity, β diversity and γ diversity, as well the factors which maintain these patterns. At the local scale, there is no fixed elevational pattern for herb species richness. For woody plants, the monotonic decrease of species richness as elevation increases is thought to be a general pattern, yet other patterns exist. The decrease of β diversity with increasing elevation has been observed in different ecosystems. Species richness in different elevational bands exhibits two different patterns, monotonic decrease and humpshaped pattern along the elevational gradient. Gene introgression usually results from spontaneous hybridization occurring among closely related species in sympatric populations and thus has great impact on the genetic structure of natural populations. This phenomenon has recently become one of the most active subjects in study of evolutionary and conservation biology. In the present study, eight chloroplast microsatellite (cpSSR) primers were used to examine genetic diversity, population genetic structure and hybridization introgression among seven Actinidia species with overlapping distributions in transitional regions ranging from the western China plateau to the middle-eastern China hilly mountains. The results showed: (1) A total of 42 haplotypes designated by 18 alleles at six polymorphic loci were detected across 655 individuals of the ten sympatric populations sampled. Although a reticulate evolutionary relationship was revealed among cpSSR haplotypes, there existed a strong species-specific tendency. (2) The intra-specific genetic diversity was generally high but varied greatly among different species. A. fulvicoma var. lanata showed the highest genetic diversity (P = 62.50%, hT = 0.173, HT = 0.897) whereas A. deliciosa exhibited the lowest (P = 37.5％, hT = 0.041, HT = 0.516). (3) High level of inter-population genetic differentiation (GST and FST varied from 0.319 to 0.780 and 0.40 to 0.695, respectively) and limited gene flow (Nm ranged from 0.219 to 0.747<1) were detected among the different species, of which A. deliciosa showed the highest inter-population genetic differentiation (GST = 0.780, FST = 695). (4) No significant difference was found between Gst (unordered alleles) and Nst (ordered alleles), sug-gesting a lack of phylogeographical structure for most Actinidia species. This is consistent with the Mantel test which revealed no significant relationship between genetic distance and geographical distance. (5) Inter-estingly, a relatively high level of inter-specific genetic differentiation was detected among species in sym-patric populations (FST ranged from 0.476 to 0.990), except for two populations (HW and GZ) of the A. chinensis/A. deliciosa complex. The result was also well in accordance with UPGMA analysis, which re-vealed that the populations tended to cluster together into the same species. Further analysis indicated that the A. chinensis/A. deliciosa complex was probably highly influenced by both shared ancestral chloroplast polymorphism and recent hybridization introgression. However, hybridization introgression rarely occurred between less related species, suggesting homoplasy events may have also played an important role in shaping phylogenetic relationships in the genus. The results have important implications for understanding population genetics and evolutionary patterns in the genus Actinidia and provide baseline data for formulating conserva-tion and management strategies. The majority of flowering plants and crops rely in whole or part on animals for pollination. The mutualism between plants and pollinators has attracted ecologists and evolutionists to use this type of interspecific interaction as a model system to study species adaptation and diversification since Charles Darwin. Recent debate on the nature of pollination systems call for studies of this interaction at different levels, ranging from single species to entire communities in a given area. At the species level, detailed studies suggest that floral traits are under selection from mutualists and antagonists as well as the physical environment. In contrast, studies at community-level are rare, but recent analyses indicate considerable spatial and temporal variation in both generalized and specialized pollination systems. This special issue of Biodiversity Science focuses on plant-pollinator interaction, presenting current research status in this area from China. Papers include floral traits and pollinator behaviors addressed by phenotypic manipulation, estimates of pollen removal and receipt, anatomy of flowers, histochemistry analysis and spatial and temporal comparison. The taxa being investigated include wild orchid and cultivated legume, endemic, endangered and invasive species with diverse sexual systems. These thirteen experimental studies and three reviews show the development of pollination biology in China and expose how to facilitate our understanding of the critical ecological proc-esses underlying interspecific interaction in both natural and agricultural ecosystems. Spatial patterns of biodiversity are results of contemporary climate, disturbance, and geological history. In this paper, we review the historical hypothesis which explains historical importance in shaping biodiversity patterns, focusing on the recent development in its studies on mechanisms, parameter selection, and relative importance of historical factors versus contemporary climate. Based on literature research, we conclude that, (1) the historical events significantly affect the present patterns of biodiversity, and that these effects are masked by the strong collinearity between historical processes and contemporary climate; (2) historical processes are more significant in influencing distributional patterns of species with small ranges (or endemic species) than those of wide-spread species; (3) measurement of historical processes is a challenge in testing historical hypothesis, as the surrogates currently used are strongly collinear with contemporary climates. Phylogenetic analysis may be help assess the importance of historical hypothesis in controlling spatial patterns of biodiversity. Metabolisms are fundamental processes of organisms. The recently-proposed Metabolic Theory of Ecology (MTE) seeks to explain ecological patterns and processes in terms of the effects of body size and temperature on the metabolic processes of organisms and using the scaling approach. James Brown and his colleagues extended the MTE to explain large-scale patterns of species diversity, and proposed a potential mechanism for species richness–temperature relationships, which predicted that the number of species increases exponentially with increasing environmental temperature. More quantitatively, they predicted that (1) log-transformed number of species varies linearly with the reciprocal of absolute temperature, and (2) the slope of the relationship ranges between –0.70 and –0.60. The MTE has generated widespread attention and controversy and has been tested by a number of empirical observations, but no agreement has yet been reached. Although several issues need to be resolved, the theory is quite different from conventional regres-sion-based methods because of its biological mechanism-sound approach. Previous empirical tests of the theory may ignore two important assumptions (i.e. unconstrained environments except temperature and equi-librium communities) that are the basis for understanding the MTE. This article reviews the frame-work, pre-dictions, and biological meanings of the MTE and examines previous empirical tests of the theory. We also comment on criticisms raised by previous studies and prospect some aspects for the further study. DNA barcoding has become one of hotspots of biodiversity research in the last five years. It is a method of rapid and accurate species identification and recognition using a short, standardized DNA region. DNA barcoding is now well established for animals, using a portion of the mitochondrial cytochrome c oxidase subunit 1 (COI or cox1) as the standard universal barcode. However, in plants, progress has been hampered by slow substitution rates in mitochondrial DNA. A number of different chloroplast regions have been proposed. There has been considerable debate, but little consensus regarding region choice for DNA barcod-ing land plants. Direct comparative assessment of different barcoding regions is now a priority to enable a standard barcoding solution to be agreed in plants. The proposed chloroplast barcoding regions mainly in-clude five coding (rpoB, rpoC1, matK, rbcL, UPA) and three non-coding (trnH-psbA, atpF-atpH, psbK-psbI) regions. In addition, nrITS is also suggested as a potential plant barcode. Limited by the universality and re-solvability of single barcoding region, five combinations of these regions are proposed. In this review, the advance of these barcoding regions, both their universality of primers and resolving power are reviewed. The advantages, standards, workflow and existent dispute of DNA barcoding are summarized. Soil microbial diversity provides basic function of a soil ecosystem. In this study, the total DNA of microorganisms was extracted by an indirect method from a typical garden soil of Taihu region, Jiangsu Province. The 16S rDNAs of the extracted DNA were amplified using bacterial universal primers 27F and 1492R. PCR products were ligated into the pMD 18-T Vector and transformed into Escherichia coli DH5α to construct a 16S rDNA clone library of the soil microbes. A total of 173 clones from the library were screened and their 16S rDNA fragments were reamplified. The PCR products were digested by Rsa I and Hha I, re-spectively, and their fingerprints were analyzed. The results indicated that the library includes 63 Hha I and Rsa I restriction endonuclease types and the coverage (C value) of the clone library is 76.30%. The number of genotypes digested either by Hha I or Rsa I is only 40 and 27 although it has a high coverage. There were two main restriction types accounting for 16% and 12% of the total 16S rDNA clones, respectively. Phy-logenetic analysis suggests that the dominant bacteria in this garden soil belong to α-proteobacteria and γ-proteobacteria.